I'll start by saying I'm no pro at Twitter, but having hosted the cruelty-free bloggers chat, once last week and once in April, I wanted to share the bits I've learnt from my first few times hosting a Twitter chat. Here we go! For the first chat, I had my questions ready to copy and paste but I was constantly keeping an eye on the time and trying to judge the best point to post them. For the second chat I used Buffer to schedule the questions beforehand, to go out at ten minute intervals. It made it so much easier for me to participate properly! You also know your questions are under 140 characters and that you won't forget to use the chat's hashtag. Whether you're hosting or chatting, Tweetdeck is awesome. You can see every tweet containing the chat's hashtag, your home feed, messages and any other timelines you want all at once. Especially if a lot of people are chatting this makes it a breeze to keep up. Hootsuite is another free platform that does the same. The first chat I hosted was quite busy, so five questions were plenty as there were lots of answers and mini conversations sparked from those. The second chat I hosted was pretty quiet so the questions were answered quickly by those taking part. In between I posted extra questions as well as my scheduled ones to keep up the momentum, which worked out nicely! This is something I meant to do but didn't get around to, but I do think it's important if you have the time! Make a graphic for the chat with the day, date, time, timezone, hashtag and your theme if you have one. A picture is much more likely to stand out on someone's Twitter timeline and then (hopefully) be remembered and retweeted. You could even make graphics for the questions too if you want to. No need to go overboard, but make sure you let people know! Ask yourself who you'd like to see in the chat and who'd be interested in your topic. For example for the cruelty-free bloggers chat, I used the hashtags #crueltyfree #vegetarian and #vegan as well as #bbloggers (beauty bloggers). Plus don't forget the chat hashtag, e.g. #cfbloggers. I also made sure to send promo tweets at the times when most people are checking Twitter - early morning, lunchtime and evening. And lastly, have fun! I always enjoy the #cfbloggers chat so much, because it's a joy to talk to like minded people. And if you've never joined a Twitter chat before, you definitely should :) It's like chatting in a big online club with other cool people who like the same stuff you do. 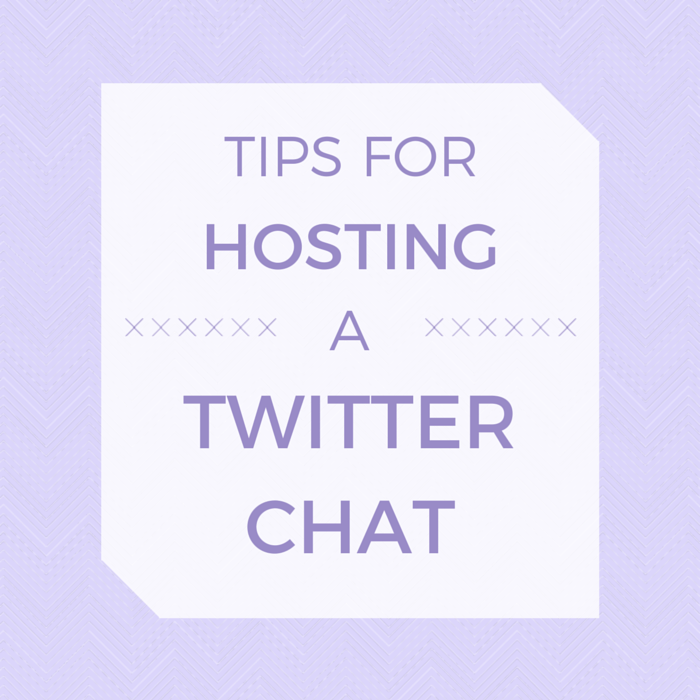 Also if you want even more tips for creating your own chat, Morag of mo'adore (and founder of the #cfbloggers chat) has an awesome post here. Do you join in Twitter chats? Have you ever hosted one?